HTC, Samsung and Sony have a reason to celebrate today - their smartphones picked several EISA (European Imaging and Sound Association) awards in different categories. And if you're wondering what EISA is, it's an industry body representing 50 tech-focused magazines from 19 European countries and it gathers every year to award the best devices in different categories. Samsung scooped four awards, one of which was for its Android flagship, the Galaxy S III. 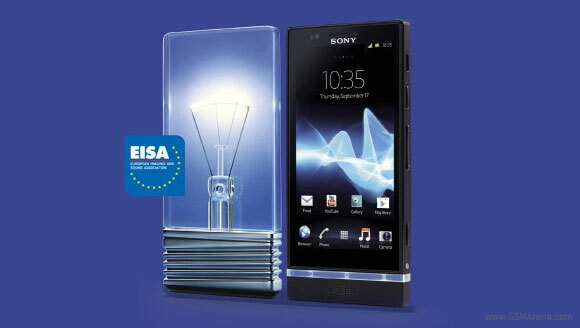 The Samsung I9300 landed the EISA award for best European mobile phone. Sony got the Green Award for the second time in a row. In 2011, the Xperia mini and Xperia arc received the Green Award, and this year it's the Xperia P.
HTC didn't leave empty-handed either. The One S got the Social Award for its best-in-class social features in the Sense 4.0.